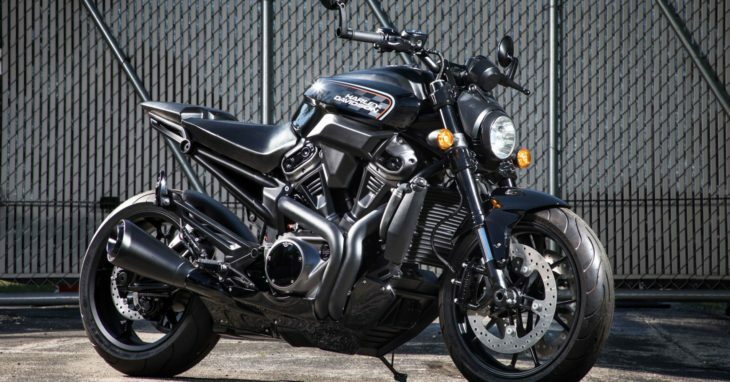 Harley Davidson has announced a big push into new market segments with modular liquid-cooled engines. Sixteen new bikes will utilize the new 60° v-twins in displacements of 500cc, 750cc, 975cc, and 1250cc. These will be DOHC designs, so expect modern, competitive levels of horsepower and torque. Pictured are a couple of prototypes shown by Harley of a new adventure model called the Pan America, displacing 1250cc, as well as a Streetfighter displacing 975cc. Harley expects these to be introduced as 2020 models. Harley also emphasized the importance of electric models in its future. 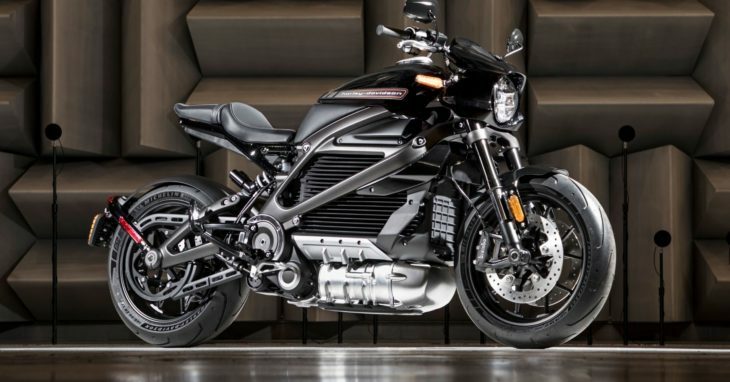 Pictured near the bottom of this article is the 2019 LiveWire. An entire “family of products” in the EV category will range all the way down to bicycles. Our world-class dealer network is an integral part of the company’s accelerated strategy and critical to overall success. We will implement a performance framework to significantly enhance the strength of the dealer network and the customer experience, enabling the best-performing and most entrepreneurial dealers to drive innovation and success for themselves and Harley-Davidson — while providing the premium customer experience the brand is known for across an increasingly diverse product and customer base. I’ve ridden Japanese bikes for years. harley riders gave me”Crap” all the time. It was bad, yet I drag raced them and kicked their butts ALL the time. In 2003 I purchased a Harley Fatboy and truly enjoyed it. Different horsepower, ride etc. Fun and I still had 3 other Japanese bikes. They all have a different application. In reading the different comments it’s sad people can have a opinion about something they know nothing about. Times have changed the Harley riders wave to me no matter what bike I’m on. Oh by the way they have gotten smart and where Full-Face helmets. Now they’re trying to adapt to current market demands. If you LOVE 2 wheels give them a chance! Thank You! Hmmm…these look a lot like Buell concepts to me, perhaps if H-D worked with him a little better, they could have had a chunk of these markets already. That being said, I like the looks of these. The Pan-America is an interesting looking rig. I wonder if it will get the 500 & 750 treatment. I wish them luck. I think they should consider adopting B-King style exhaust for the Pan Am. Been thinking about this. It “may” be that these new models aren’t even really intended for U.S. consumption. Sure, they’ll be sold here, since the dealer network already exists, but the intent by HD may not be to set the US market on fire with these. The Rest of the World, however? Harley is popular across the globe not because of the technological superiority or price point of their machines – they are selling well outside the U.S. because of the allure of the brand, which rolls “USA / Outlaw / History / Cool” all into one product – and to be honest, this is their formula for success even within the U.S.A. Kind of similar to the “Jeep” brand, which is probably worth as much as the rest of FCA put together. 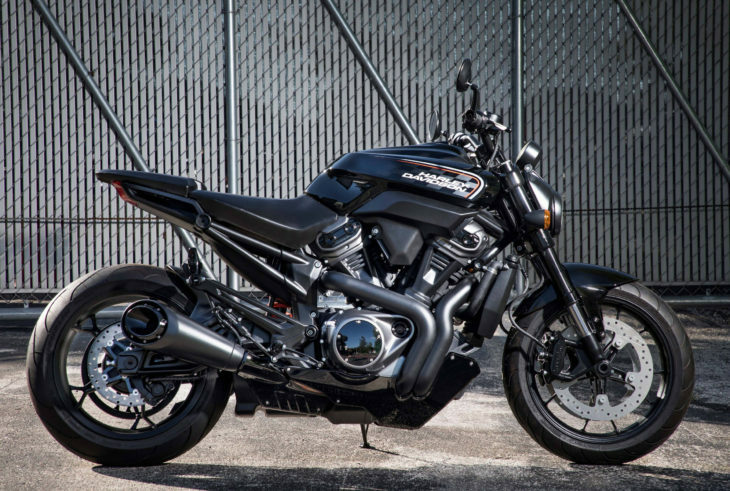 And just as Jeep is able to sell products that have deviated greatly from the Wrangler, maybe Harley feels its brand is strong enough to do the same thing with genres other than its traditional cruiser lineup. If Coca-Cola brings a new product to market, people are much more willing to try it relative to a new offering by “Fizzy Pop Inc.”. It’s all about the Brand, Baby, which is worth more to HD than all its factories put together. My brother-in-law told me once that “If you throw enough poop at the wall, some of it’s going to stick”. Rather than “Going Quietly Into the Good Night”, HD is going to do something, even if it’s wrong. Same thing with electric motorcycles. Bold moves, whether it pays off or not will be in history books that won’t be written for another twenty years or so. Too little Too late! Their trying to follow other manufacturers into segments that are already saturated with the best bikes money can buy. Their going to have to sell them really cheap cause an aged out old HOG rider isn’t going to buy one and theres not enough young people interested in their cruisers to maintain their market share. Good for them for trying. However, their dealerships are abysmal. Ya I ride a Harley. It had the main countershaft bearing go out. Ya I boneheaded it and ran it with the belt too tight. Anyway, the service manager told me that they don’t do those kinda repairs here. So I found an independant shop to get it done. Their service is just a bunch of EFFin chrome swappers. I can see Harley being the leader in electric bikes in the future, shocking! Even if HD didn’t make much money selling these bikes, it would go a long way in changing their image. Next biker movie “A/C Rider”. Anon, I just don’t see what you are see’in. Maybe I’m smoking the wrong rope/dope. Their E-bike looks like a top-coil ‘fridge from the ’30’s. Which word is this dealer network on? Not Earth. The dealer network is what’s helping to kill Harley. It needs to be flushed and started over, but that’s not going to happen. How much crap does a guy get for wanting a Sportster (a 45 horsepower, 600 pound “girl’s bike”). Do you really think those same Neanderthals will be able to sell me a dual sport? The attitude in HD dealerships is toxic, and has to change. I just don’t see it happening. I’ll give them credit for trying something new and the Streetfighter looks pretty nice. Their old base is aging out. Let their designers and engineers stretch their legs a bit, throw some new designs out there and maybe something will stick with the younger folks. I grew up thinking Cadillacs were slow land barges for retirees and now I drive a CTS and love it. Smart companies can change. Nobody is gonna cross shop a Beemer GS with a bike that makes more heat and noise than power. 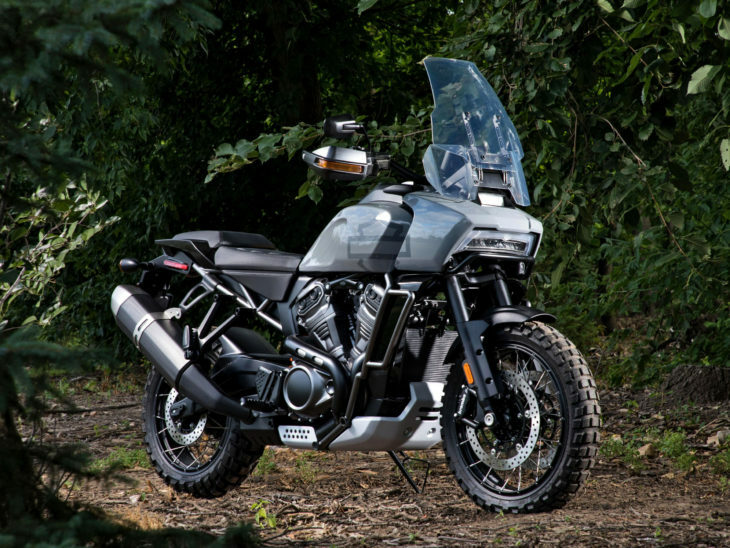 The streetfighter looks pretty good as does the Livewire, but the Adventure bike…PanAmerica…. gawd….they should slap “Buick” on it. This is like the devolution of motorcycling…. But then I think to myself, well, I believe in “Form Follows Function”….so even if it is the ugliest thing to ever come off an assembly line, if it works well…. then more power to Harley for trying. But it really does look like an abortive attempt at mating a Harley with a Buick….yuck. Pan Am with a bit of 1969 Riviera styling DNA? Hell yes! I simply don’t understand when it’s so blatantly obvious to even the most casual observer how ugly the GS is. I think you’re confusing the Pan Am and Buick for ‘BMW GS and Edsel’. I do believe Harley’s attempt at going in a new direction will be difficult as they tend to operate in a vacuum where only HD’s exist. They’ll need to match performance, price and quality, something they’ve never done before AFAIK. If they do it right they will be successful. If not, they will probably scratch their collective heads in bewilderment and cry, “why doesn’t anyone want to buy our poor performing, overpriced slugs?” I’m hoping that they get out and see what the competition is and build a competitive product. SOOO many negative remarks. They have made some good changes in their line up with last years bikes, and they seem to be trying to change with the times. I wish them luck. Good for them! I hope they FINALLY have enough vision and courage to join the real motorcycling world. They need to close an old dealership for each new one they open. Their retail stores (dealerships) only know how to sell a ‘HOG.’ Look at Buell, MV Agusta, the Sportster, and the V-Rod. Again, I wish them well and hope they are truly serious. Wish them luck? They bought MV for $100 million dollars, and sold it a year later for ONE dollar. They owned Buell and closed it without even trying to sell it. The dealerships treat people like crap, unless you’re a “biker”. Sadly for them, I’m a motorcyclist, not a biker. OK, so let’s say that they come up with some fantastic bikes. Where are they going to sell them? How are you going to get guys like me into the dealership that treated them like crap for *decades*? I see a lot of negative comments from people who have experience in a HD showroom. You reap what you sew, sorry to say. I’m not a Harley rider. I’ve tried a couple but didn’t like the power to weight ratio. These new offerings are more interesting than another take on the sportster or big twin To all the nay sayers, at least H-D is offering real bikes for us to look at, most new offerings aren’t even real. Everyone wants super bike power and handling for under $5 grand but reality is good quality costs money. Oh, and by the way, there is no such thing as a pretty ADV bike, that’s an oxymoron. I’ve pretty much disliked HD since I started riding in the early 70’s. Rude customers on the road (this seems to be improving, though), the rotten tariff, the damn noise pollution, the accountants dressed like land pirates thing, the marketing of 37 flavors of the same platform, the endless rolling roadblocks, the company has always left me beyond cold. However, these new bikes all seem like legitimate attempts at changing. I’ll wait for specs and ride reviews before I criticize or compliment them. The cynical, petty and condescending remarks made by many commenters are absolutely disgusting as they gleefully predict the demise of Harley Davidson with depraved indifference toward what that will mean for thousands of hard working Americans. How many years does a company and their customers treat you like crap before you write them off? I’ve been on a motorcycle for for 45 years, and have never had a good experience in a HD dealership (except for one guy who I talked Buells with) and very few positive experiences with HD riders. I’ve wanted an American bike in my garage for decades, but there’s *nothing* out there I care about. Now I’m supposed to forget 45 years of BS from Harley and stand in line to buy a bike? I put the blame for extremely loud pipes squarely on HD. The dealerships sell and install illegally loud pipes, they advertise and project the “”outlaw biker” image which is all about FREE_DUMB!!! and loud pipes. Now I have to hear that crap 20 times a day, and I live 1/4 mile from the road. Sorry, but I will NEVER forgive HD for the noise pollution that have encouraged. The engine cases alone look to be 50-100pounds more than motorcycles they will be competing against. I wish them luck, but the only category they will win in comparison tests is styling. Which means that they will ultimately fail in attracting new clientele IMO. Price will probably be somewhere in the stratosphere too. I don’t see the Pan winning any styling contests. Horrible. Based on a couple of pictures you’ve come to that conclusion? Interesting that by judging two pictures you believe the engine cases alone are 50 to 100 lbs heavier than competitive motorcycles, and you have absolutely no knowledge on the performance aspects to conclude any other comparisons either. The Pan Am would win a styling contest if I were judging it. I think it’s very cleanly styled for an ADV bike. This is, without a doubt, the stupidest thing I’ve read on MD’s comments in quite some time. And that’s a tall order. BMW’s claimed ready-to-ride wet weight for the basic R-12-GS these days is 538 lbs. A 738-lb. wet weight for the Dirt Glide would make it weigh more than a Heritage Classic. This is, as I opined previously, is flat friggin’ stupid. Talk is cheap. Harley has never been able to match horsepower/weight figures of its competitors, unless we’re talking about drag racing or cruisers, lol. This bike will be around 100 pounds heavier than a Beemer GS. That’s a deal breaker for the demographic they’re targeting. I hate feeding a troll but your “Miata with Corvette motors” comment makes absolutely no sense. The small-block V8 is both compact and light and, if so desired, fits inside the Miata engine bay with room to spare. The hood closes and nobody would be the wiser of what is under the hood. You apparently know more than anyone else does about these new HD designs. Yeah, talk is cheap so I say you just seem scared the Pan Am will be better than the GS you fawn about. And really, if I were in the market for an new ADV bike (I already own a VFR-X) I wouldn’t (and didn’t) shop the GS at all because it’s too damned ugly. I wouldn’t care how good it is or not. I’d definitely be taking a serious look at the Pan Am based on looks alone. I believe the performance aspects of these new bikes will be very competitive. Aparently Harley is scared, otherwise we would be talking about a new cruiser and not an adventure bike. Im not trying to be a hater, just brutally honest. That’s how motorcycles are judged when people put function before form.. Brutally honest. By your own admission, you’re a Harley fan through and through. 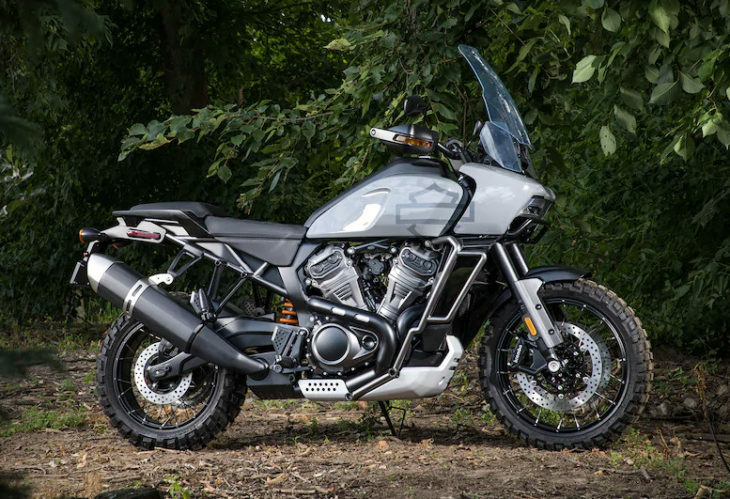 No offence, but they didn’t design an adventure bike to sell to the Harley faithful. They designed it to appeal to “weight-weenies” who buy “performance” bikes. When did I say I’m a Harley fan, through and through? Nope. Yes I’ve liked a few Sportster models over the years. I like the Roadster they have now. Not the others so much. I’ve never owned an HD. I owned two Buells and loved them. Hated the HD dealer experience. I don’t like the stereotypical Harley attitude of everything else is junk. The HD attitude pisses me off. Your attitude towards HD is the same. I’m rooting for HD to succeed, and I’m applauding the change. You know squat about the function of these bikes and act as if you know. You’re an arm chair weenie hiding behind a screen that thinks they know everything about anything and everyone. You think you have a clue but you don’t. Harley fan through and through you say to a person that just said they own a Honda? I own and have owned numerous vintage and contemporary Japanese motorcycles (a Suzuki fiend if you didn’t guess), and have never owned a Harley-Davidson. I did own two Buells and loved them, but not the dealer experience. I will admit I do like the HD Roadster. My last V-twin motorcycle I owned was a ’07 SV1000S. I do hope HD succeeds in their new endeavor branching out. I like what I like and cruisers typically aren’t it. Harleys are overweight, underpowered, overpriced, and they run hot. Go cry to your mom if my opinions offend you, I don’t care. I agree they are overweight, under-powered, overpriced, and run hot. These new models will more than likely address these issues or it’s all for nothing. They definitely have big work to do on the dealership front as well. All I’m saying is you’re jumping the gun with assumptions of performance. These new models are a polar shift for HD. I hope they don’t change its looks just because of some silly comments from people who overreact when they see something new. When the Pan Am is out and about the people who don’t like it will soon change their mind. When it jumps Cesar’s Palace fountain successfully like Pastrama did last week with an Indian I will believe. I agree, Onto. And I’m not even a Harley-Davidson fan. I hope they succeed in their new endeavor. Take it easy, just an initial impression. Now I like that! Trail Glide. Gee, why all the negativity? Everyone not riding a Harley criticizes it for bikes that are under-engineered and static and derivative, but when H-D tries to break out and try something new people get rattled. I say good for Harley and good for those of us who ride. More competition and choices can’t be a bad thing. After 8 motorcycles from the Japanese Big Four I got a Triumph and I’m thrilled. 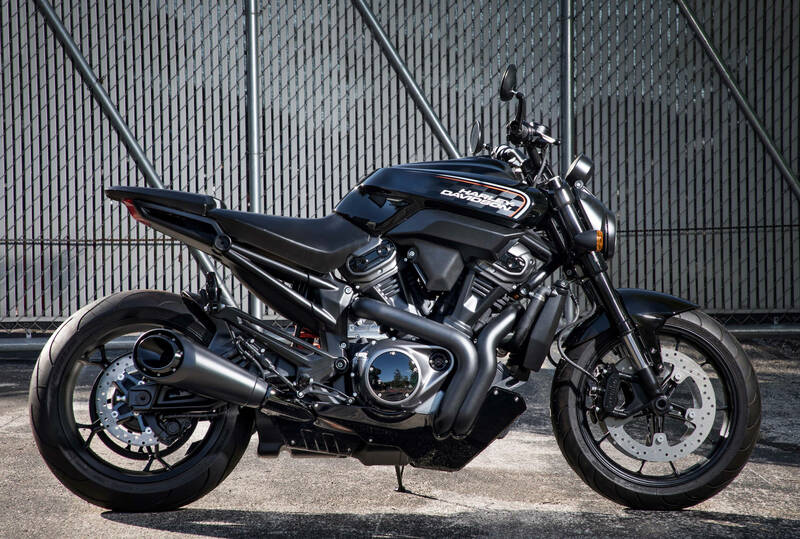 I like that Streetfighter (which seems like the old Yamaha MT-01 not sold in the US.) The adventure bike doesn’t move me but I’m not looking for an ADV anyway. Let’s see what the engineers can do when they’re given a challenge and something to inspire them to do great work. how, where, or why they got here really doesn’t matter any more, what matters is what they choose to do about it. I’d say they are back in the game. Maybe only a few will actually take off but it’s an educated gamble and for once a bold one. I’m glad to see it and don’t intend to judge the offerings until I have a chance to ride them. H-D are late in a new game for them . By the time they fix teething problems with their new power plants as usually happens and it takes 3 to 5 years , 2025 will deliver a road worthy motorbike? Exactly! They’re not gonna make a GS right out of the box. I used to root for an American company to make compelling motorcycles that would interest me and other “riders” who don’t want to take on the Pirate of Milwaukee fashion and the HOG mindset. The dismissal of Buell allowed gangrene to set in the foundations of the company and now they are splashing water from a mud puddle hoping the cure is in there somewhere. In the case of the Pan America, everything below the tank looks like a merger of Indian and Triumph which is not necessarily a bad thing. Whoever penned the Street Fighter should have their butts kicked by the designers of the Ducati Diavel. If they wanted to break into the other markets, a 500cc v-twin might as well made out of unobtanium. Their first move should have been the acquisition of a passport. They would would have discovered that the common denominator is a single cylinder motorcycle of 300cc or less. In South America, a 250cc/300cc bike represents the upper displacement strata. The vast majority of two wheeled transportation seems to be under 200cc and well spread between traditional motorcycles and scooters. If HD wanted to make a successful move into international markets, a single cylinder 250 adventure styled bike would have sold like crazy (IMHO). The less said about that excremental headlight situation the better. While I commend Harley for finally having the corporate courage to break out of their cruiser stereotype, it’s going to be an uphill battle. Harley’s problem is an industry-wide problem. Demographics and costs are working against them. Millennials aren’t interested in riding, and can’t afford a $15,000 to $20,000 dollar motorcycle anyway, which is what all these new models are going to cost, even if they are manufactured overseas. The middle class is shrinking in this country, and there aren’t enough upper class millennials that ride to expand Harley Davidsons market, no matter what kind of bikes they introduce. Harley says it wants to create 2 million more riders…well, unless they intend to give the rider training away for free, good luck with that. The reality is Harley Davidsons sales will continue to shrink until some equlibrium point is reached. They are in no danger of going out of business, but the days of making and selling 300,000 plus motorcycles is over. Look at Ford, Chrysler and GM sales numbers. Their heyday was decades ago. It will be the same for Harley Davidson. Excellent analysis, Mac. The problem is that HD wants to keep their stock price where it is when they are selling 300,000 bikes a year (350,000 worldwide in 2006, only chart I could find easily). They were making money when they were selling what, 70,000 units in 1990? So, they are in no danger of bankruptcy. But once you grow, it’s darned hard to shrink, the worst thing you can do to a billionaire is to make them a millionaire, the pain is too much to bear, LOL. I cannot in good conscience wish for the failure of an American company that employs thousands of American workers. But Harley has deserved a comeuppance for a long time with their corporate, dealer and customer attitudes. Maybe they should publicly apologize for their arrogance vis-a-vis William Wallace’s terms at Stirling Bridge (per the movie, anyway). You want to know how well these will sell?? How often do you see a harley 500 or 750? Nice boat anchors. I see one every day – my wife has one. To her, it’s the greatest bike on the planet. It needed a few mods (had to redesign the clutch lever/perch to make the reach reasonable – not sure what they were thinking), but it’s the right size for her, makes enough power for her (the 500 – it will cruise at 80 mph on Montana interstate when we have to ride interstate), and it runs every time she asks it. To her – perfect. That being said, she’s in the minority. i’ve yet to see another on the road. I applaud HD’s attempt to shake up their designs. But it seems to me they are trying to reinvent the wheel. They already made one of the best looking motorcycles ever built, the XR 750. Build that bike, as a 750, a 1000, and a 1200. Keep them light, keep them inexpensive, keep them simple. Why do you think the entire motorcycle world is frothing over the Indian FTR 1200? They built the Harley that Harley should have built; and in fact, already had. I can’t see how this idea can pan out. Buell was put off by itself. And then axed. The dealers could not understand the Buell bikes or their appeal. How are the dealers going to integrate a line of bikes that are at odds with the company’s decades of public persona? Kudos to H-D for opening up new channels for potential customers. I was never interested in their air cooled bikes but these new streetfighter and adventure bikes have my attention. And the electric bicycles look very nice as well. I applaud them for taking on the challenge. We all gain when new exciting models come to market regardless of the brand. Interesting that HD is so desperate. They should have not axed Buell but that is all behind us now. I ride KTM Adventure bikes, very nicely made and great to ride. This HD Streetfighter looks interesting. If they make it a fire breather (like the KTM Super Duke R) I could become interested. I’ve always wanted an American made bike but I want something that performs at the top of the heap not old, outdated looks and performance. If these new bikes are under powered…HD will fail miserably……again. HD should dump a whole bunch of their entrenched execs and engineers and bring in fresh blood that couldn’t care less about building tractors. Come on HD make us want your bikes. And don’t be so stuck up!!!! Oh, and their Adventure prototype looks too much like an existing Harley (Kind of ugly) Would not buy. Interesting that HD is so desperate. They should have not axed Buell but that is all behind us now. I ride KTM Adventure bikes, very nicely made and great to ride. This HD Streetfighter looks interesting (looks just like Ducati Diavel). If they make it a fire breather (like the KTM Super Duke R) I could become interested. I’ve always wanted an American made bike but I want something that performs at the top of the heap not old, outdated looks and performance. If these new bikes are under powered…HD will fail miserably……again. HD should dump a whole bunch of their entrenched execs and engineers and bring in fresh blood that couldn’t care less about building tractors. Come on HD make us want your bikes. And don’t be so stuck up!!!! Oh, and their Adventure prototype looks too much like an existing Harley (Kind of ugly) Would not buy. I would like to see HD make an electric scooter. Harley’s painted themselves into a corner. They’ve built bikes for “bikers” (as opposed to motorcyclists) and their chosen clientele simply aren’t interested in serious motorcycles. “Motorcyclists” (as opposed to bikers) have so little faith in Harley as a company that many won’t even set foot inside a dealership. I think Harley would have built broader spectrum bikes long ago if they had any idea how to market them. The local Harley dealer once stuck a toe into the water and took on BMW, Ducati, Guzzi, and MV. Almost a dream line-up. How can you lose with choice like that? They promptly exiled all those brands into a tiny room off the main showroom. They hired no one that knew one whit about any of them. They were excellent and making you feel like a pariah if you went to look at any. Test rides were nonexistent. The sales staff was so used to selling bikes “the Harley way” (“I’ll see if I can get you on the list.”) that I suppose they thought the bikes should sell themselves. I once inquired about the price of an F800GS BMW and the sales dude couldn’t even find the price! Told me I could find it on the internet. True story! I will NEVER go back in that dealership…not that I have reason to since they tanked with all those “furrin” brands. Incidentally, I was parts manager for a Honda/Harley dealership (also known as an Oil/Water dealership) clear back in the 1980s and the problem was obvious even then. Most local Harley riders wouldn’t even come in the shop for fear of cooties. The Harley sales rep was a super nice guy who was frustrated the the company couldn’t break into more conventional markets. It’s not gotten better.